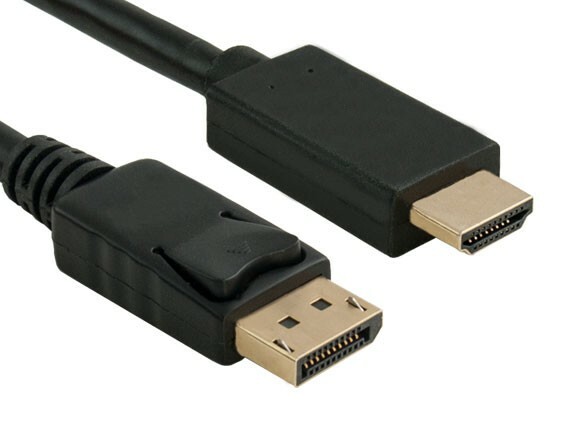 Use our DisplayPort 1.2 to HDMI cable to connect your HDMI-equipped HDTV 4K display to your DisplayPort-enabled computer without the hassle of using a separate adapter. 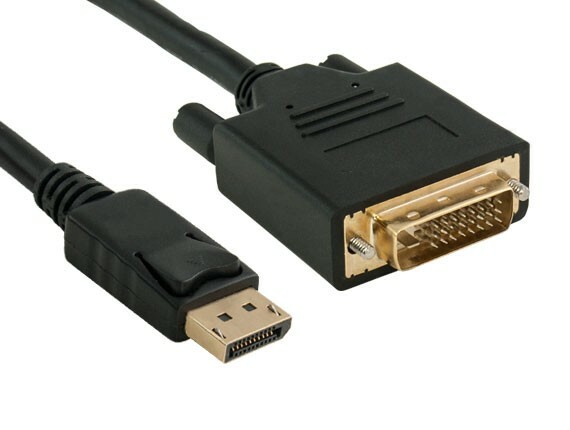 This adapter cable offers a convenient and cost-effective solution for taking full advantage of the capability of your HDMI display, without the expense of upgrading to a DisplayPort monitor. It supports video resolutions up to 3840 x 2160 @ 30 Hz with compatible equipment. Gold-plated connectors provide optimal signal transfer. 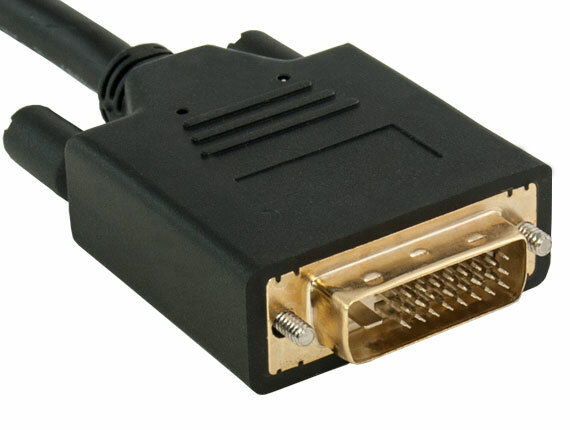 Note: This DisplayPort adapter cable operates passively and is designed for use with dual mode graphics cards often designated with “D++”. 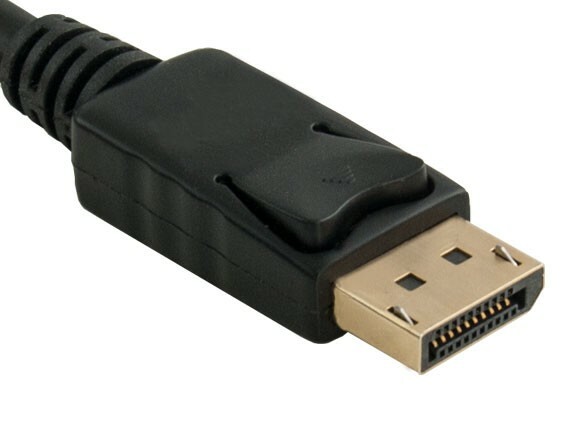 HDMI audio is supported by this adapter cable when connected to a device that possesses dual mode and HDMI audio capability. Although the vast majority of source devices support HDMI with audio, some are incapable when using a passive adapter. If you are uncertain if your source device supports HDMI audio with passive adapters, please consult with your computer or graphics card manufacture to verify. • Supports DisplayPort 1.2 and 4 lanes. • Supports DisplayPort 1.2a input and HDMI 1.4b output. • Supports HDMI highest video resolution 3840 x 2160 @ 30 Hz. • Supports multiple color formats: RGB 6/8/10/12-bit per component (bpc) andYCbCr4:4:4, YCbCr4:2:2, 8/10/12bpc. 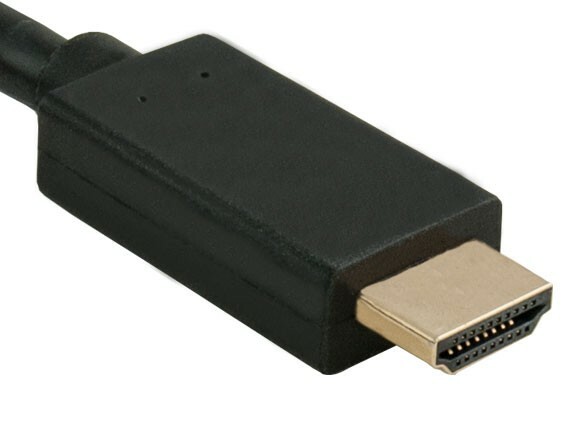 • HDMI 1.4a compliant with maximum data rate 3.0Gbps. • Supports 10/12-bit deep color 1080p up to 2.25Gbps and 3D video formats (720p@50/59.94/60Hz, 1080i@50/59.94/60Hz, 1080p@23.98/24Hz, 1080P@50/59.94/60Hz) up to 2.97Gbps. • Content protection of HDCP Rx and Tx keys to support HDCP repeater. • Supports up to 8 channel LPCM, compressed audio (AC-3,DTS) and HBR audio format. • Supports up to 192 khz audio frame rate and up to 24-bit audio sample size. • Integrated both HDCP Rx and Tx keys to support HDCP repeater. • Powered from DisplayPort source.